In the years to come, understanding the effects of El Niño-Southern Oscillation events on coral reefs is instrumental to preserving the beauty and function of these valuable oceanic resources. El Niños, as far as experts can tell, have been occurring for thousands of years, and so they alone are not the concern; the worry is how their growing strength (in connection with global warming) will affect overall climate trends and the natural world. Numerous studies have demonstrated how the 2015-16 El Niño was extraordinarily impactful in this regard, and so these are great tools for putting a finger on just how potent a strong ENSO can be on coral reef ecosystems. The obvious connection between the increasing global effects of climate change, and bleaching of coral reefs, is the associated elevation of sea surface temperature1. As the Earth’s oceans continue to be heated as a result of human-induced pollution and warming, the severity of temperature increases such as those resulting from El Niño become more and more devastating to reefs. However, this is not the only factor that could potentially affect the survival of coral during future El Niños. A 2016 study published by experts from the European Geosciences Union highlights a different potential cause of coral mortality during the 2015-16 El Niño: sea level fall2. 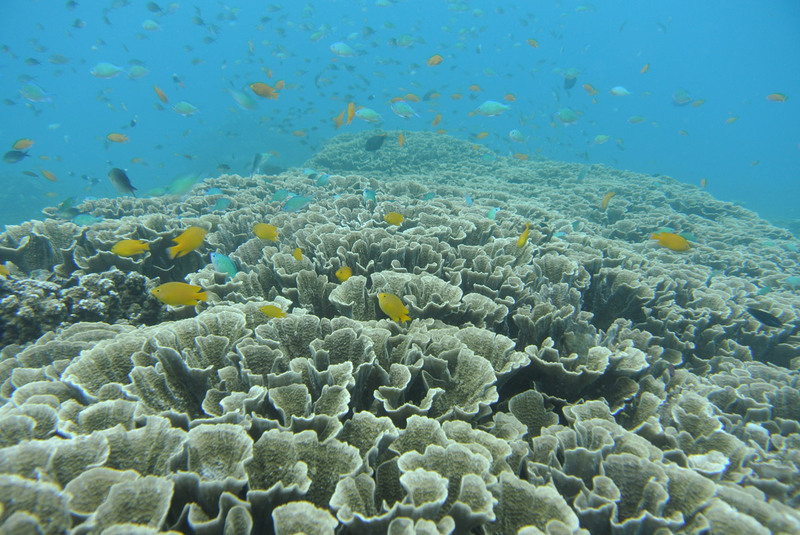 It focused on the reefs of Indonesia (Figure 1), a region known for its high diversity and flourishing tracts, where coral bleaching is common during ENSO cycles; this is a result of the added warmth and dryness during its first phase3. 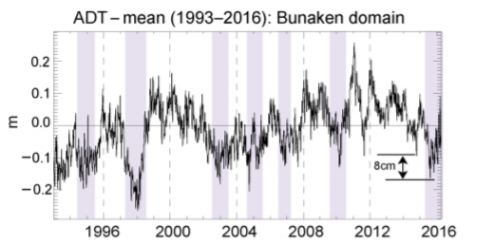 They not only saw that traditional warming-related threats arose, but also that additionally, sea level had lowered considerably in the area (Figure 2)2. They collected data from years in the past, and noticed that in previous years with strong ENSOs, (such as 1997), sea level had also fallen noticeably. 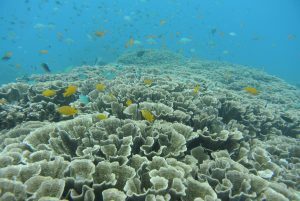 The establishment of an association between these two negative effects on coral reefs allowed them to conclude that sea level fall was likely not seen as a notable detriment of past El Niños2, and that this new factor is a major concern moving forward with the study of reefs during ENSO cycles. As is made evident in this case study, it’s easy (even for scientists) to overlook the wide range of impacts that ENSOs can have on coral reef health. Sea surface temperature anomaly is the most obvious, and pressing issue involving global warming and the survival of these majestic underwater ecosystems, but others do exist, and should not be ignored. As climate change worsens, El Niños continue to become stronger, and so do their effects on the living world. Some, as we have learned, may still not even be discovered. Therefore, it is crucial to remain diligent when attempting to quantify and study the adverse challenges presented by global warming. Coral reefs can only be saved through mass cultural understanding, both by experts, and members of the community (like YOU!). If we are to combat the growing strength of ENSOs in the coming decades, it starts with the small things, including comprehending the gravity situation we are confronted with. This entry was posted in Uncategorized and tagged 2017, Clay, Climate Change, ENSO, Indonesia. Bookmark the permalink.